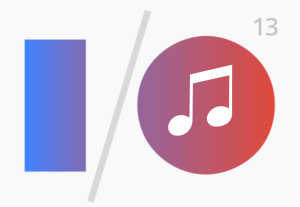 As was widely rumored, Google announced a streaming music subscription service today during its I/O conference keynote. Called Google Play Music All Access, it might have been called Yet Another Subscription Music Service, because it ticks all the same boxes and costs the same price as competing services. TechCrunch, which hyperventilated that the service would be a "Spotify killer," must be wondering why Spotify isn't dead yet. Complaining that managing music now feels like a chore, Google engineering director Chris Yerga explained that All Access, which delivers access to millions of tracks, focuses on providing personalized recommendations. The Explore area offers recommendations and spotlights featured contents. The service includes 22 music genres with key albums, expert recommendations, and curated playlists in each. Subscribers can play any track they like. Listeners can instantly turn any playing track into a radio station. One of the services best features is that users can see the station's playlist and swipe away any tracks they don't want, or reorder tracks. Yerga called it "radio without rules." All Access provides search from every page, naturally, and blends content from a user's personal library (via a Google Music locker) with other recommended tracks. Subscribers can add All Access tracks to their personal library, but Yerga didn't mention whether or not they would be available for offline listening. Google Play Music All Access is available today, and works on desktop and mobile devices. Google is offering a 30-day free trial, and the service costs $9.99 per month after that. Customers who sign up by July 30 will get the service for $7.99 per month. While currently only available in the U.S., Yerga said the service will roll out to additional countries soon. Google reportedly has signed licensing deals with all the major music studios. While having Google Play support makes the service an immediate contender, it lacks features that distinguish it from the rest of the pack. The people at Spotify can breath a little easier. It's not just a music service anymore. In an effort to broaden its appeal, Spotify is streaming entertainment clips to its mobile app users. Even though major players like Apple and Google are entering the streaming music market, that doesn't mean profits will soar. The high-flying demo included a new tablet, a home audio and video player, and details on the new Android operating system release.